The amazing thing about travel is the unexpected. 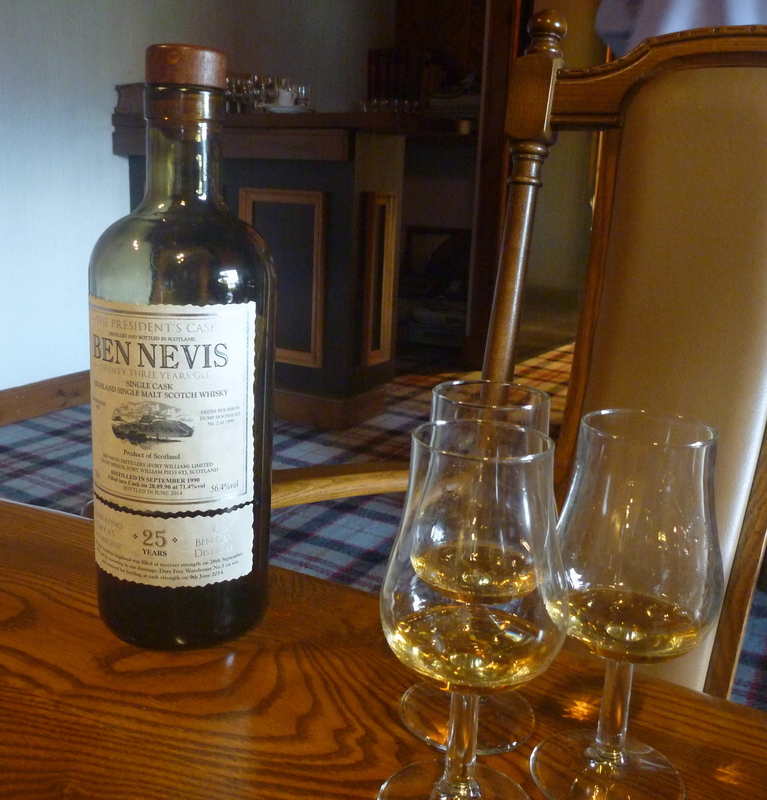 Our Scotland whisky-tasting tour initially planned on visiting the Ben Nevis distillery in Fort William, Scotland, but a reservation was difficult to make so we planned on skipping it. But while passing through Fort William, we stopped at a BP gas station to take a break. Across the street from the BP station is the Ben Nevis distillery (picture above), staring at us and enticing us to visit. What did we have to lose… Upon entering the distillery, our expectation was to visit the gift shop, but we were pleased to find out that a tour that was starting in a few minutes. How great! I explained the difficulty we had with initially communicating with them and they apologized and mentioned that some employees were away and this caused some of the issues. 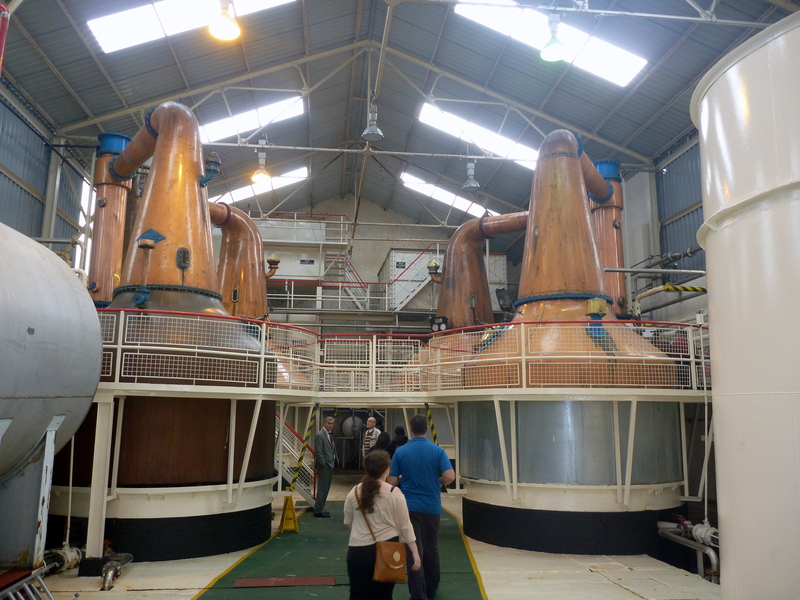 It turned out to be one of the best distillery visits we had out of the 11 that were visited during our Scotland adventure. A truly special treat. 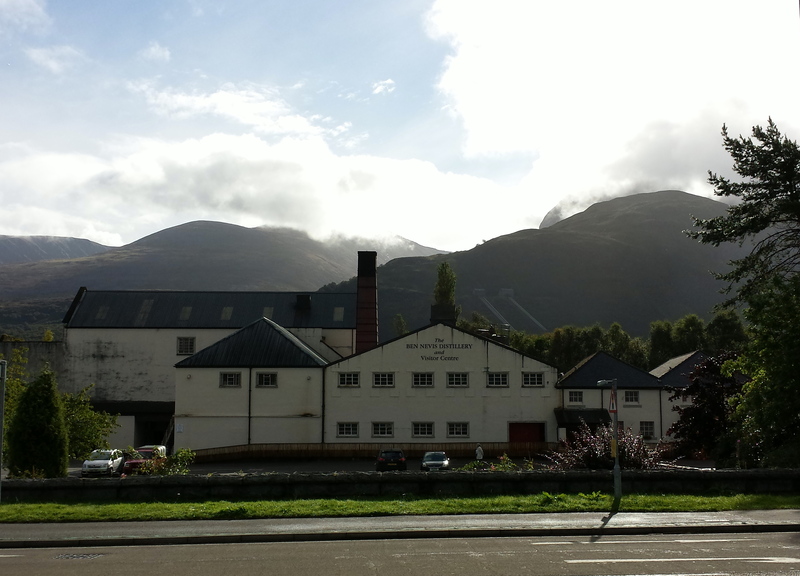 The Ben Nevis distillery sits at the base of Ben Nevis, the highest mountain in the British Isles. It is an impressive and beautiful mountain and area where many outdoor enthusiasts search for their time in nature. The water that is used for the distillery comes from the Allt a’Mhuilinn, which is a stream descending from the northern slopes of Ben Nevis. It was founded in 1825 by Long John McDonald (from where the blended scotch, Long John, was named). The distillery is now owned by a Japanese company Nikka which acquired the distillery in 1989. 10 people currently run the distillery. 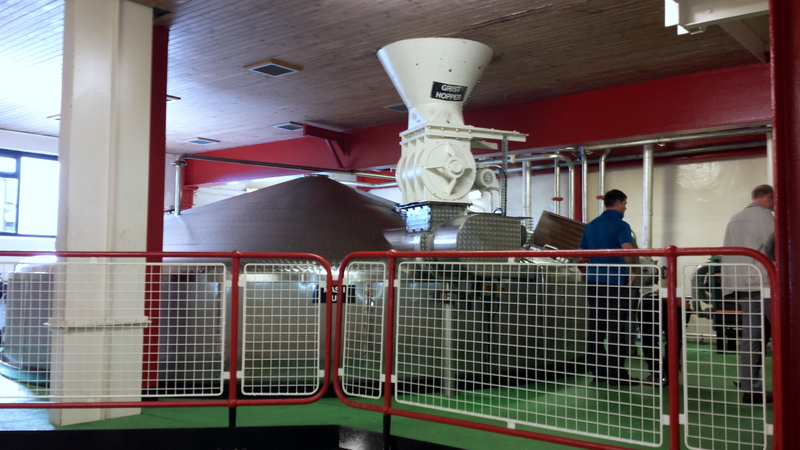 The are two malt bins at the distillery where Ben Nevis stores the malted barley it uses. The process begins on Sunday at midnight. 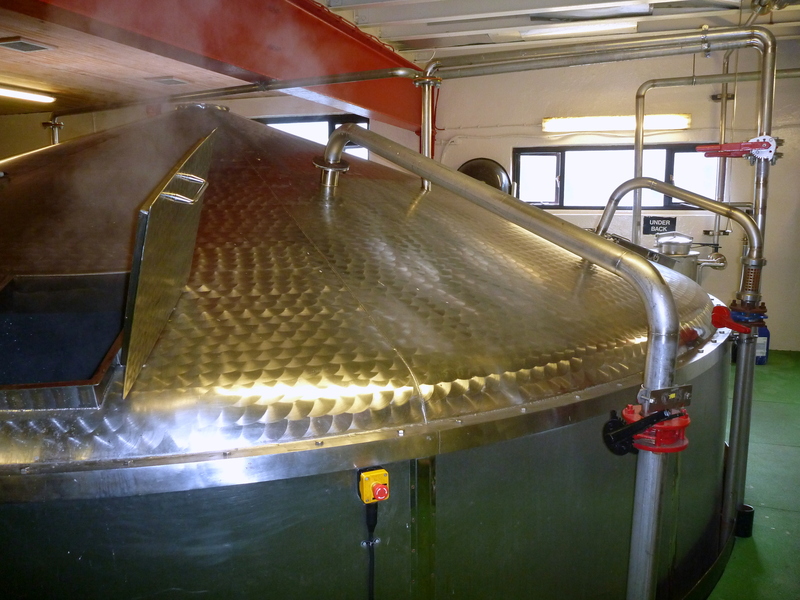 The mash tun is 21,000 liters in size. 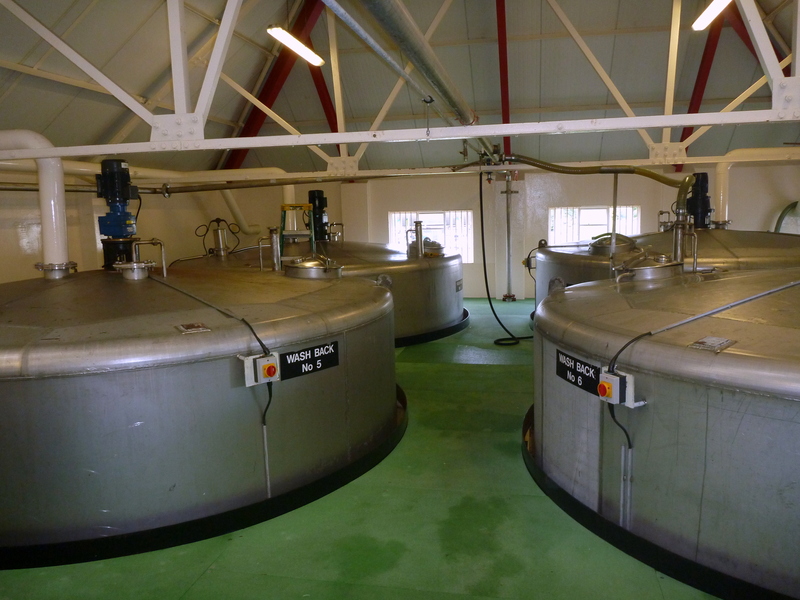 There are four stainless steel washbacks and two wooden washbacks on site. 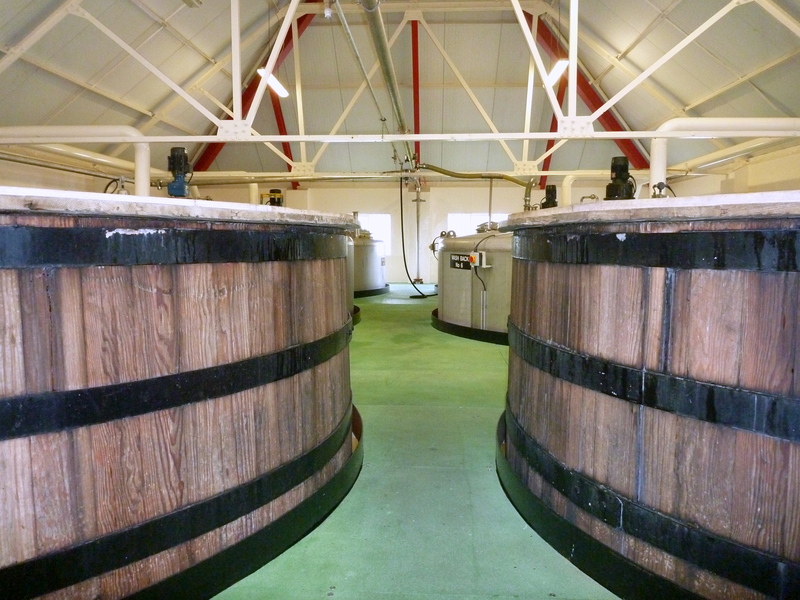 Eight years ago, these two wooden washbacks, made of Dougles Spruce, were reintroduced to the distillery. 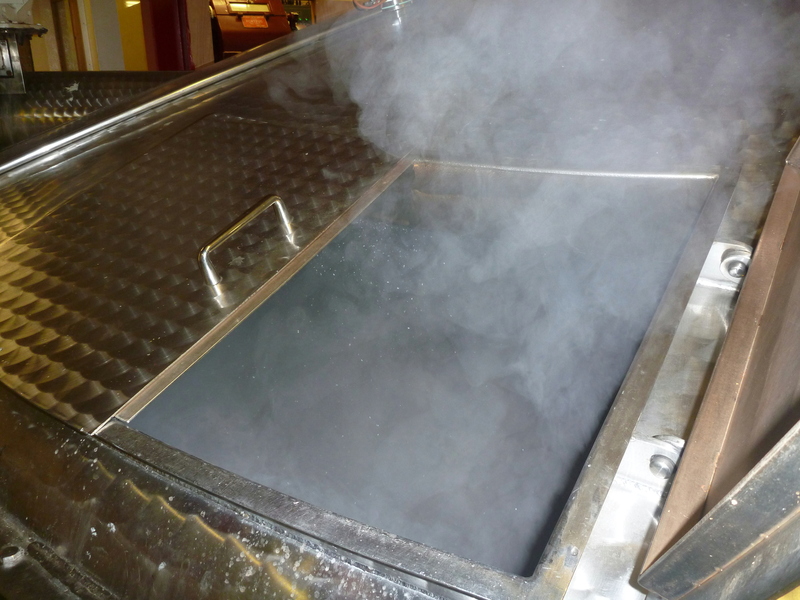 Each washback holds approximately 43,000 liters and fermentation takes about 15 hours. 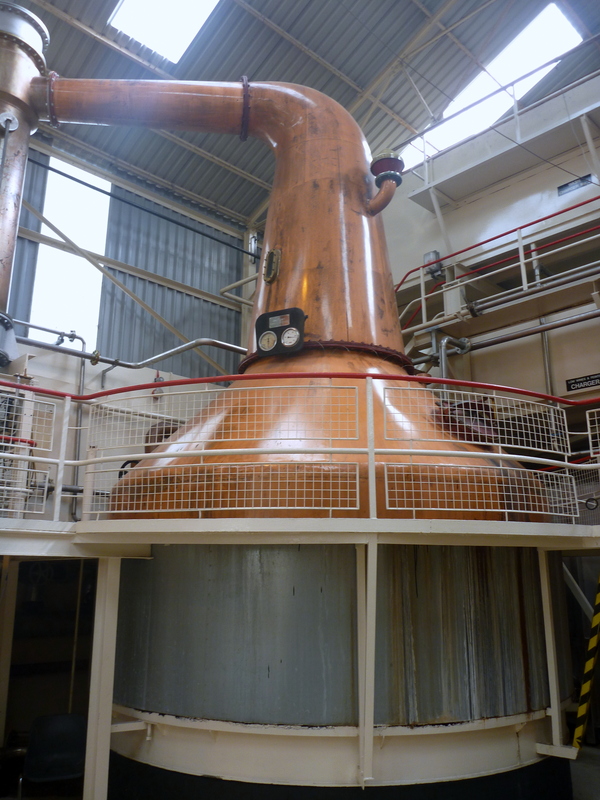 The two pot stills and two spirit stills are made of copper. Our guide, John Carmichael, stated that this was due to the fact the stainless steel was not available 1400 years ago… 14,000 liters of spirit are made weekly at the distillery. The spirit is taxed at 87.2%. 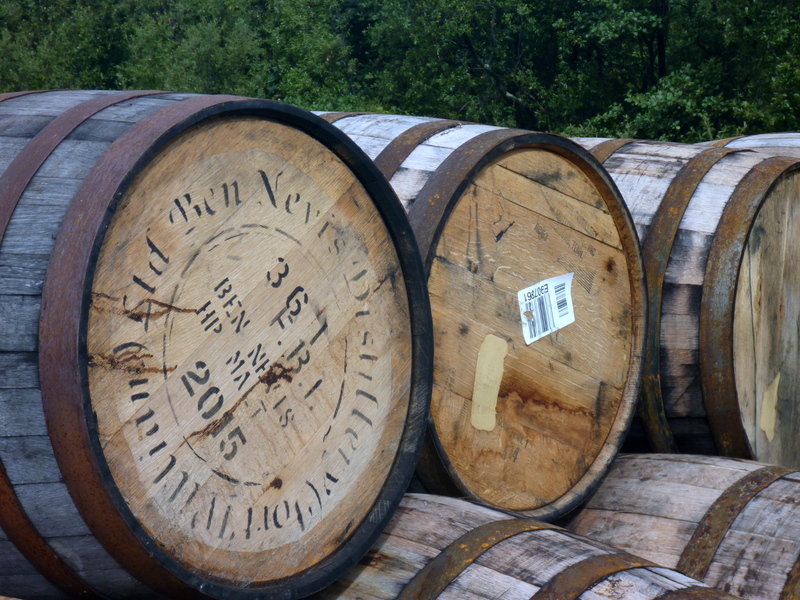 Ben Nevis uses a mix of Spanish, French and American oak for their barrels and all barrels are made on site. Some of their casks are from Jack Daniels. They typically can do up to 5 different fillings per cask. 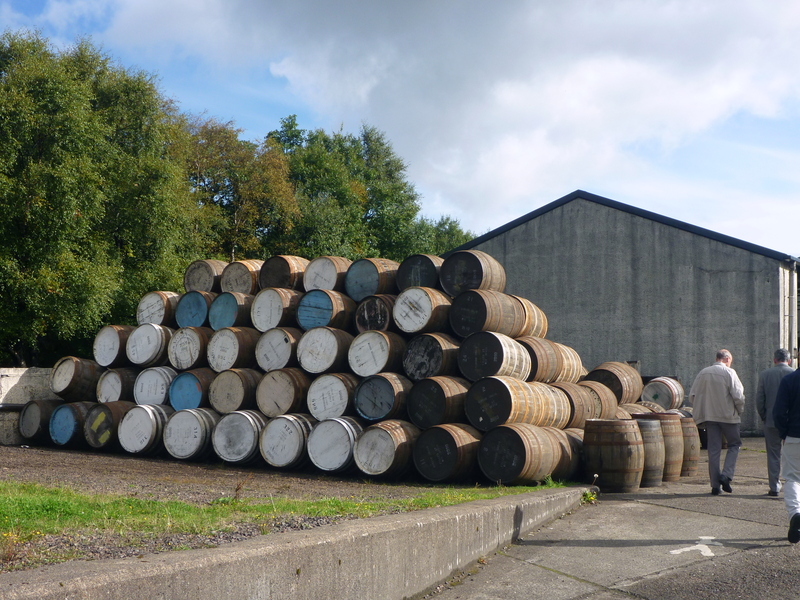 Sherry casks are also used since they are large and have less evaporation. Once the tour ended, we were back in the gift shop and tasting counter where we all were able to taste the 10-year old. Before we knew it, John, our guide, came back over to us and led us outside and upstairs for an unexpected treat. He had set up the executive conference room for us to taste some of their aged bottles. 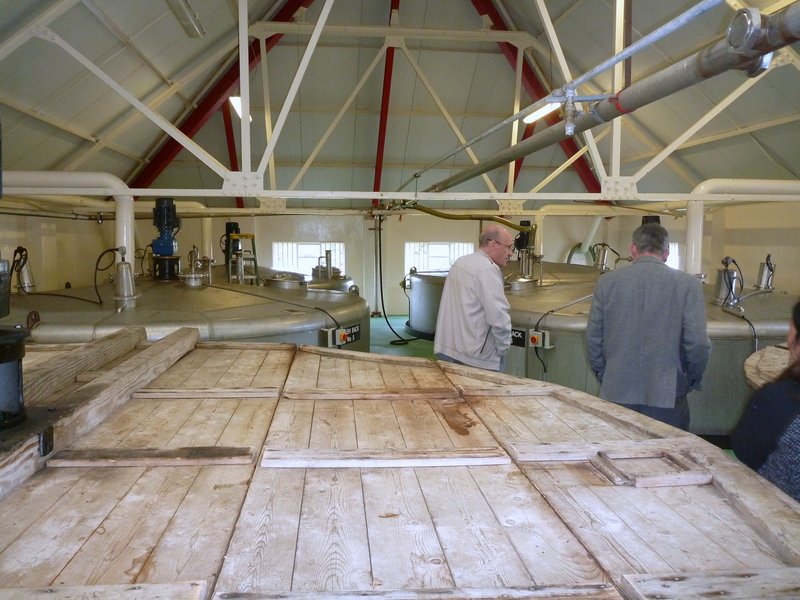 We tried the newmake straight out of the still, the 12-old and the 25-year old. Wow, how great this was. We went from almost passing by the distillery on our way up north, to getting a great tour, followed by a special tasting. 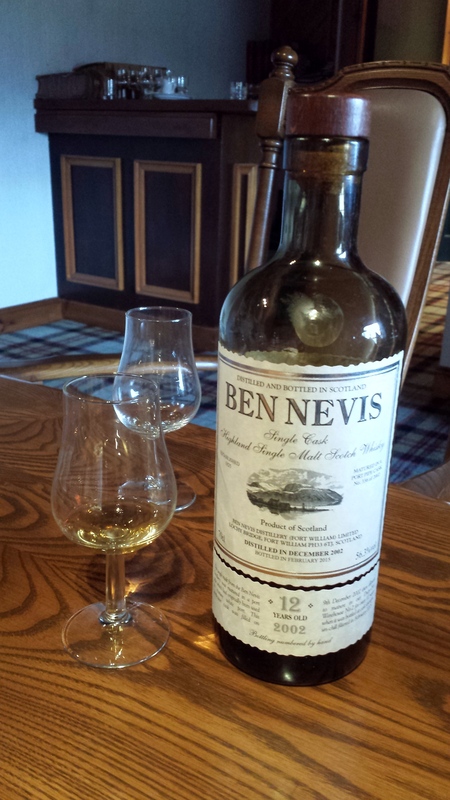 The 25-year old Ben Nevis was one of the best whiskies I have tasted. At 56.4% alcohol, it had a kick but the age smoothed it out. We tried bottle #151 out of 227. It was a fantastic treat and one that I will never forget. Cheers to John Carmichael for making this distillery stop one of our favorites. 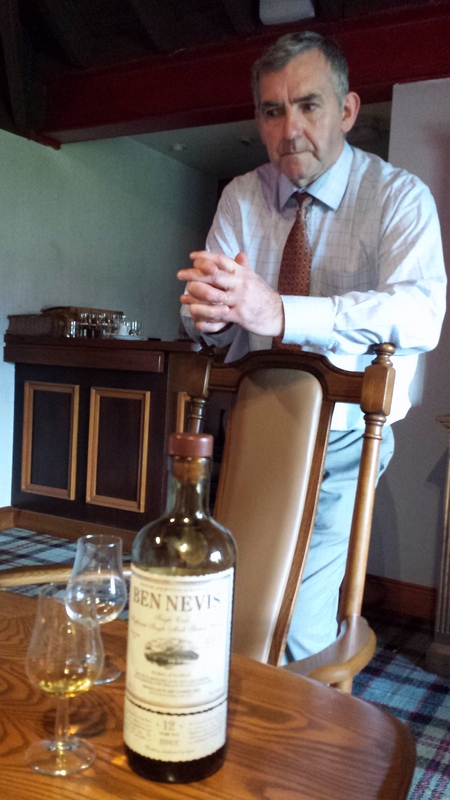 Charles’ Notes: The Ben Nevis distillery was a great stop. Not only is it located at the base of one of the most beautiful mountains in Scotland, it felt real and didn’t have that corporate feeling that you can find with some of the larger distilleries. 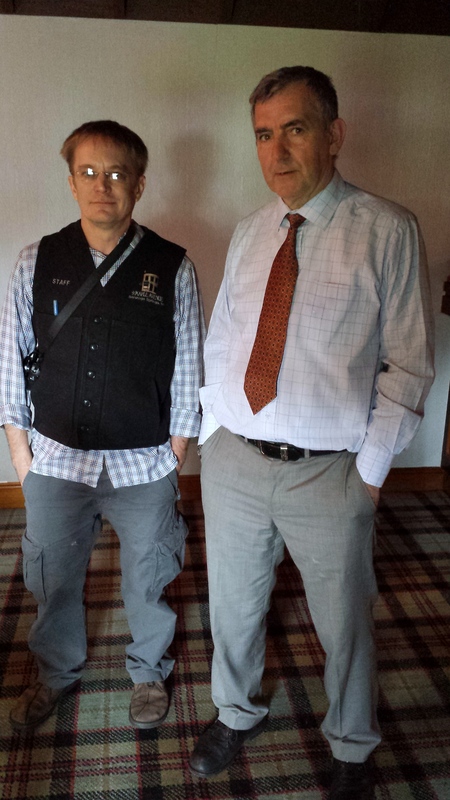 We had full access to take photos, to ask questions, and to explore each room on the site. John, our guide, made this extra special as well with his humor and Scottish charm and, of course, the special private tasting that we had. We are already looking forward to our next visit at Ben Nevis in the future.